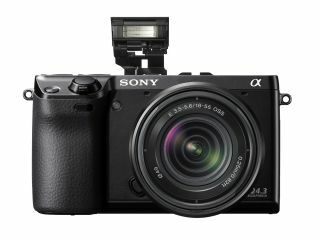 Sony has announced that it is delaying the launch of the new Sony Alpha a65 SLT camera and the NEX-7 compact system camera due to the floods in Thailand. The floods have forced Sony to shut production at two out of its three factories in Thailand. Other technology companies with manufacturing bases in Thailand have also been hit by the floods, including Western Digital and Seagate, manufacturers of hard drives. Meanwhile, Toshiba has also suspended hard disc manufacturer, which is expected to have an impact on computer makers. Sony said it was working towards restoring its facilities, but a report on Nation Multimedia, lists the factory, along with a Nikon factory as having "no prospect of recovery." The NEX-7 and A65 were announced in August, and were expected to go on sale in November. The NEX-7 features a 24.3 megapixel sensor, and claims to have the shortest shutter lag in the world. In Nation Multimedia's Report, it also lists a Nikon factory as being completely submerged. As Sony manufactures sensors for Nikon, it's likely therefore that we could see some delay in either current Nikon camera stock fullfilment. NikonRumors has reported that a suspected launch event in Belgium has already been cancelled due to the flooding.